Blue Team center David McCormack pulls back to dunk during a scrimmage on Tuesday, June 5, 2018, at the Horejsi Athletic Center. In back is Red Team forward Mitch Lightfoot. As basketball has evolved into more of a floor-spacing, 3-point-friendly game over the course of the past several years, an increasing number of big men with frames both large and athletic enough to dominate the paint have relocated to the perimeter with the idea being they will better fit into modern offenses. 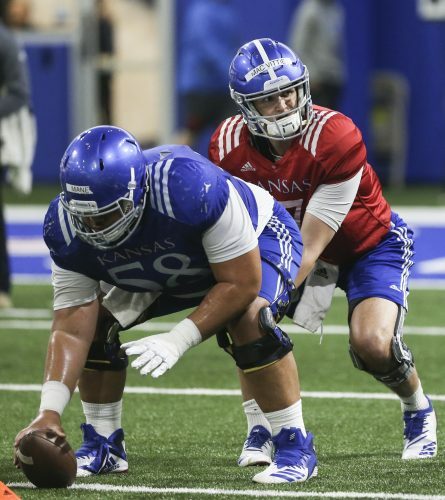 Six-foot-10 Kansas freshman David McCormack recognizes why some centers and power forwards want to adopt that style of play. But that’s not who he is. McCormack prides himself on impacting the game with force on the interior. 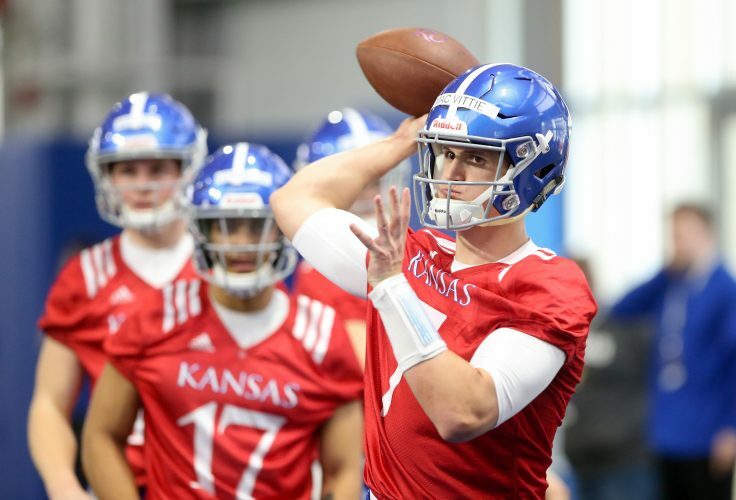 Although it was only a glorified pick-up game, played to entertain the hundreds of KU basketball campers in attendance, McCormack performed with power around the basket in an intrasquad scrimmage this past week. While he at times resembles a big man from a bygone era, McCormack made it clear he’s his effectiveness isn’t limited to layups, dunks, offensive rebounds and shots in the paint. “I know I’m a back-to-the-basket big. But I also have the face-up game and mid-range,” he said. A player of McCormack’s stature and four-star pedigree would immediately plug into most starting lineups as a freshman. 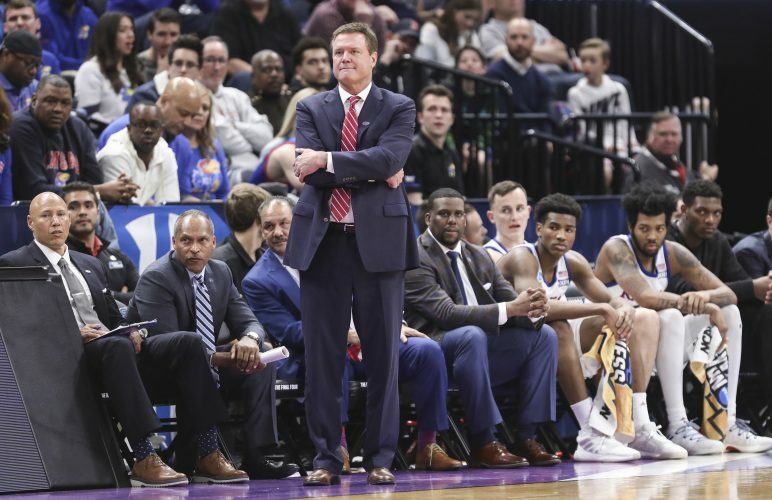 But KU is so deep up front, with Udoka Azubuike, Dedric Lawson, Silvio De Sousa and Mitch Lightfoot, that the McDonald’s All-American figures to begin his college career as a super-sub. During his first week of workouts, pick-up games and one-on-ones — pretty much any time he was on a basketball court — McCormack said he most often found himself matched up with 6-9 sophomore forward De Sousa. 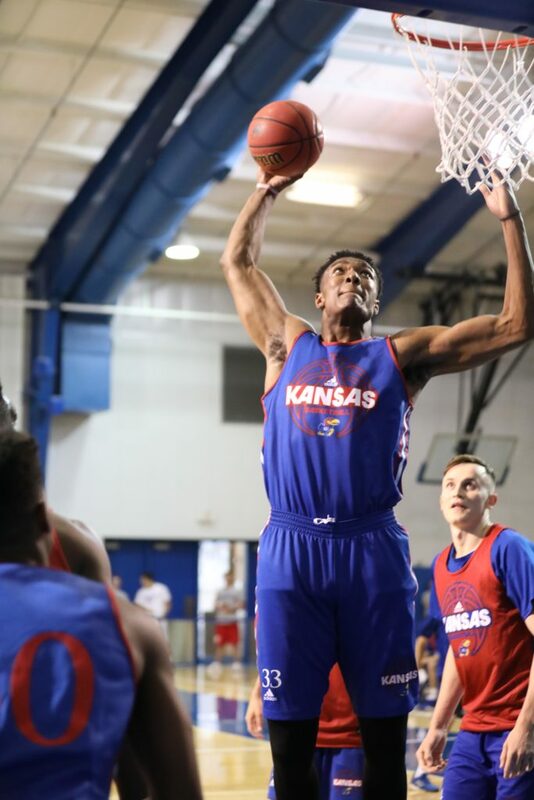 He’s looking forward to both training alongside and battling against every big in KU’s deep frontcourt. 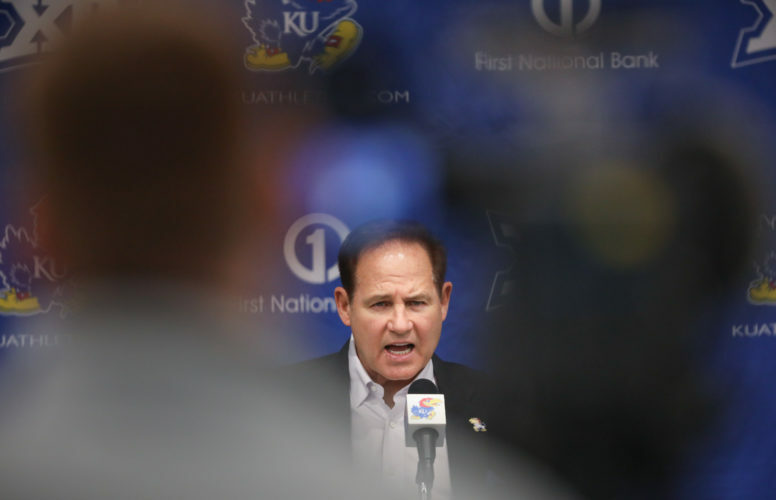 McCormack’s approach to the game should compel his teammates, as well, while also pleasing KU’s coaches. 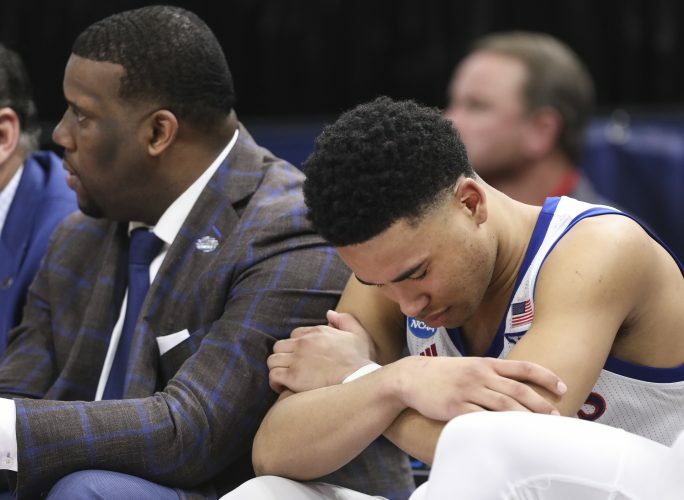 He’ll be too intense, mature and impactful to warm the cushy bench seats at Allen Fieldhouse as a freshman. KU’s newest big man would fit in on a basketball court in any era. Just don’t be too surprised when he takes an old-school style into the 2018-19 season. 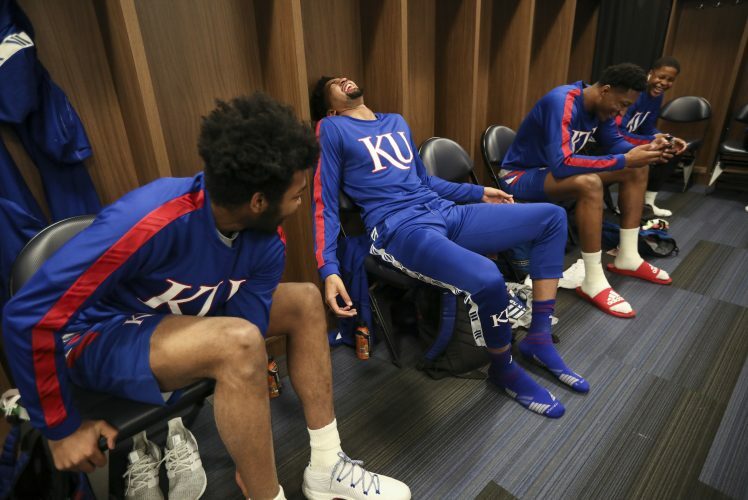 1 win down and … how many to go for the Jayhawks?